One of the models in my IT Management Models book is about escalating critical support issues. Escalation steps should take place automatically for certain circumstances. 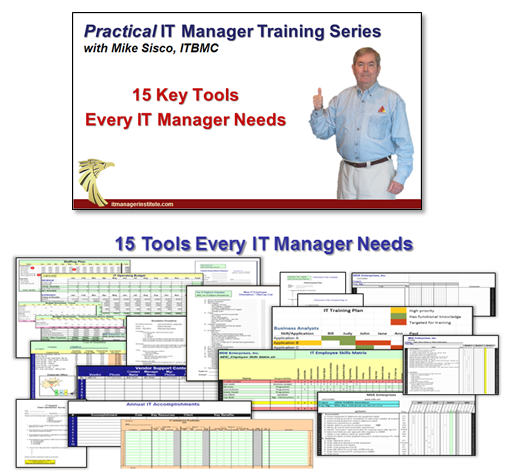 Develop processes and teach your IT staff how and when issues should be escalated and to whom the escalation needs to go. Every type of business has circumstances that justify escalation to higher level managers. Establish your IT escalation procedures to protect the business and to help your team be successful. There are times when issues need to be escalated to more experienced people in your organization. Sometimes, the information may need to be escalated to senior management outside of your organization. It is important to establish clear escalation procedures in your organization so critical business issues get the proper amount of attention at the earliest possible moment. Escalating when appropriate should be automatic and simply part of the process of supporting the technology. Define escalation procedures: What, when, and to whom – When defining the escalation procedures you need in your IT operation, you must be specific as to what requires an escalation act. Define clearly to whom the escalated message should go to or what does one do in the escalation procedure. You also should define when an issue gets escalated. In my IT operations, I will set up escalation procedures for all types of business situations when I believe it will improve our support operation. In a few cases, I want to be notified immediately so I can be sure we are looking at the problem with a management perspective as well as a technical one. Build escalation procedures that help your team succeed – Escalation procedures can help your team be more successful because they position the team to be more responsive to problem issues that can occur. Getting stronger skills on a “down system” issue quickly in order to minimize the downtime you might incur is a positive thing for all involved. Escalation procedures protect the business – Protecting the business is our job when it comes to managing technology. Responding quickly and if necessary with an “all hands on deck” response to a critical issue is appropriate when we are talking about mitigating business continuity risk. Coach your team so they are “automatic” – You want your escalation procedures to take place automatically. Coach employees, inspect the process with simulated drills, and do what is necessary to get them handling escalation steps automatically; you will be glad you did when they have to escalate an issue. 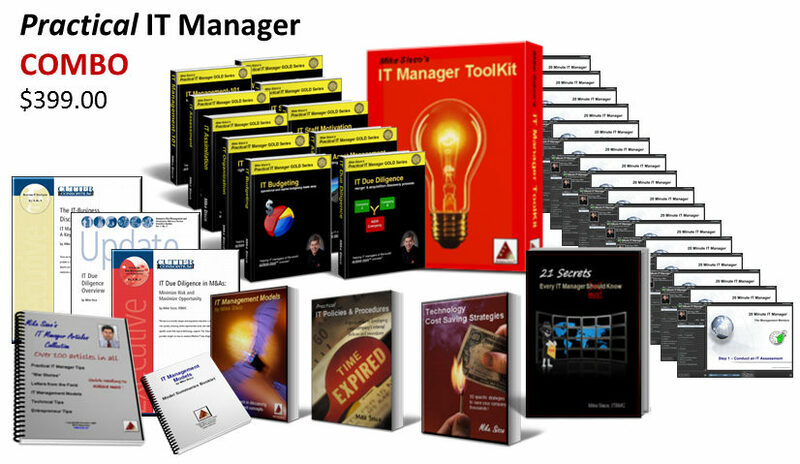 Click here to learn more about IT Management Models. 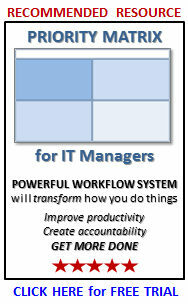 This entry was posted in IT Manager Tips and tagged escalation, it management, it manager tools. Bookmark the permalink.